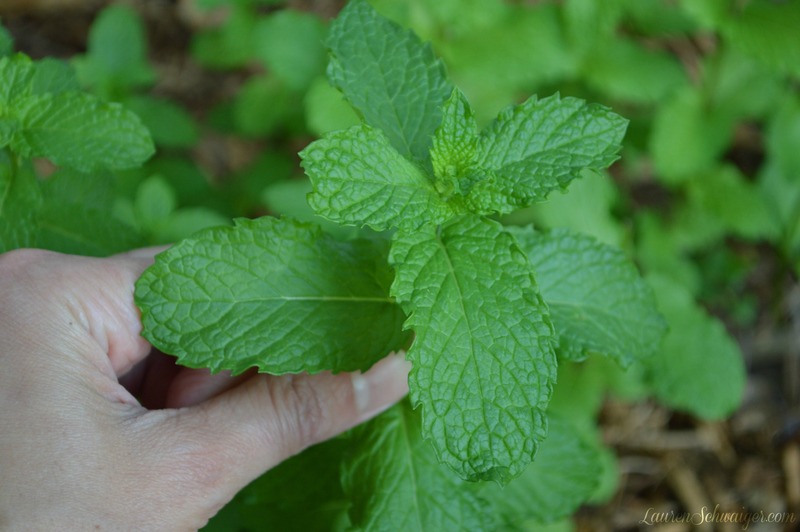 I’m forever modifying & thinking of ways to make a healthy version of anything & everything. When it comes to alcohol, my go-to’s are wine, champagne & vodka. 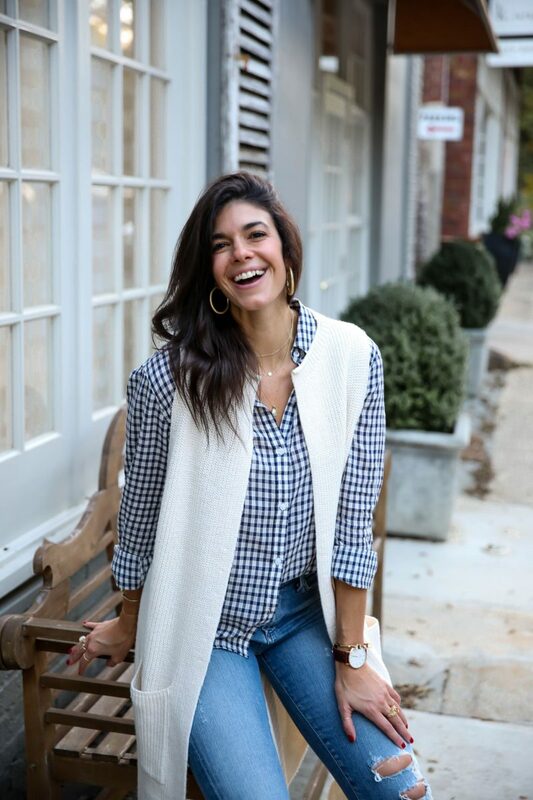 (not all at once) hahaSummer screams for not so much warm, sleep inducing wine – but, ice cold & refreshing cocktails enjoyed on rooftops & patios with your friends & family! When I go out, I typically order up a vodka/water – always (ALWAYS) in a tall glass + tons of lemons. Sometimes tho, I do want to enjoy something a little more exciting than just a vodka/water but without simple syrups and junk like that. Stay far, far way from simple syrup 😉 Sooo, on Memorial Day I decided to play around with one of my favorite summer fruits – Watermelon! 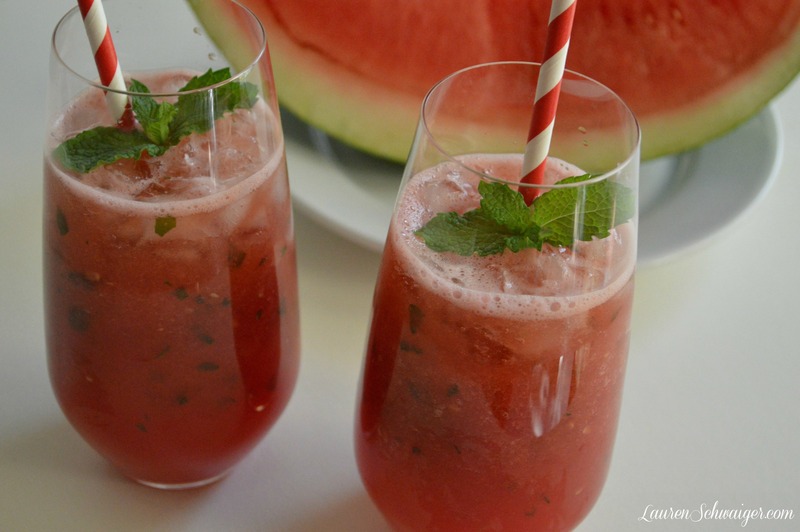 And it turned into this delicious & healthy Watermelon + Mint Cooler. Well that’s what I’m calling it. 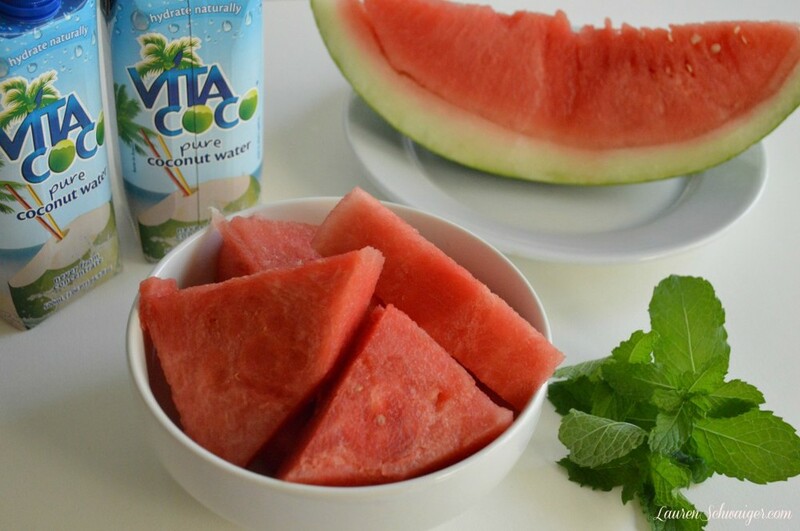 2 of my fave Coconut Water brands are Zico & Vita Coco, as you see here. I just bounce back & forth between the two…whichever is on sale, really. 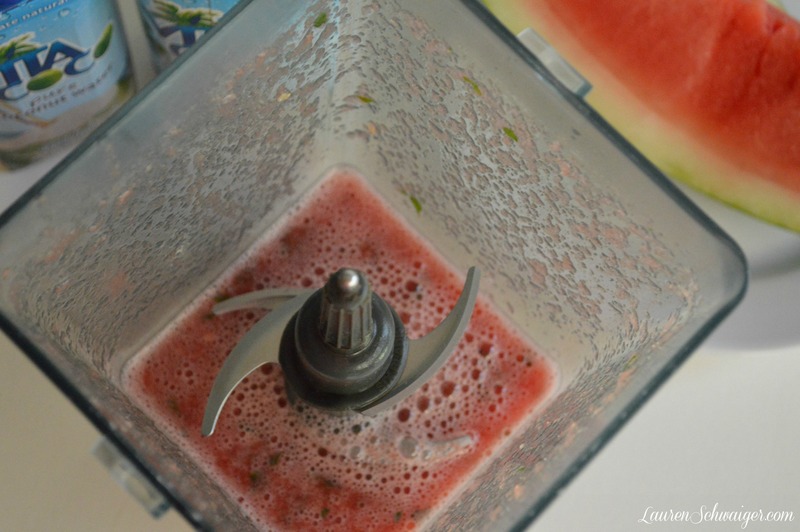 put as much watermelon as you like + mint leaves (I used 6 big ones) in the blender & blend away..
LS Tip: First stab at this, I put everything in the blender at once…watermelon, mint, coconut water, ice & vodka which resulted in way too much liquid & separation. Which mean’s it didn’t look pretty and well, we can’t be serving up any ugly cocktails. 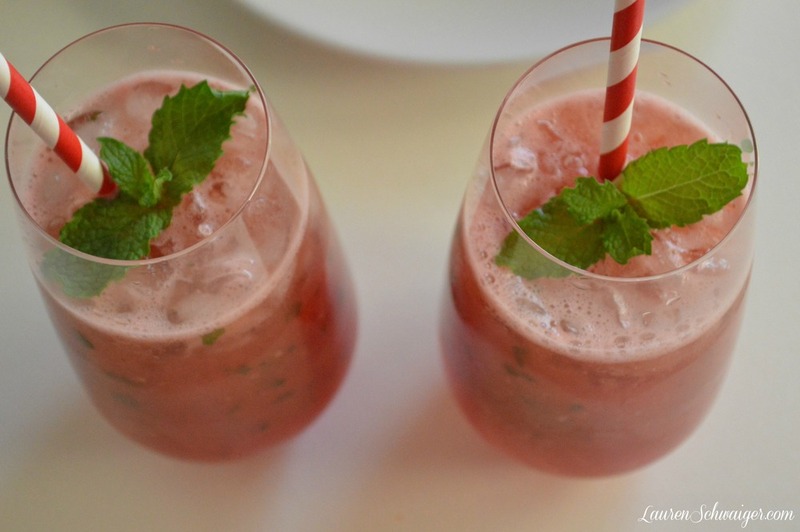 This time I stuck to watermelon, mint & ice. Came out perfectly. 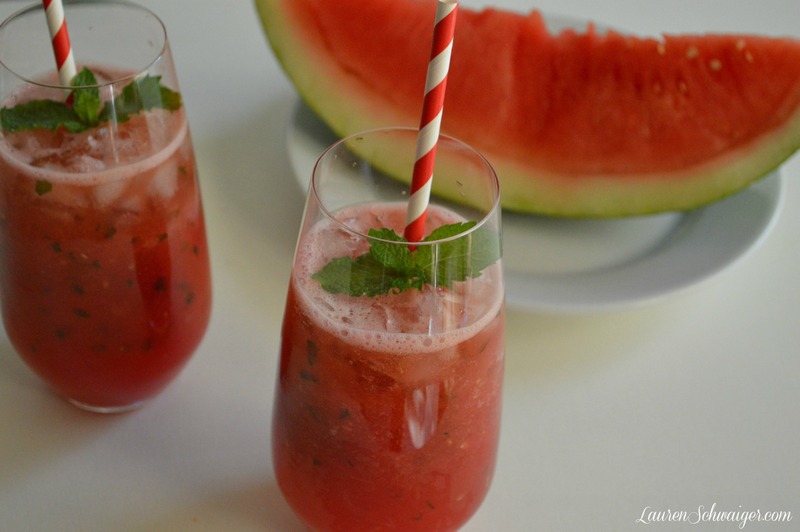 Add your splash of coconut water & alcohol of choice after you pour your watermelon juice into your glass.